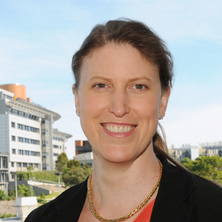 As Prof Ward's research is primarily clinically based, her work has great impact on clinical service provision within the field of speech pathology, enhancing the evidence base on swallowing and communication disorders within a variety of clinical populations, the assessment and treatment techniques used, and new models of care. Specifically her research into telepractice has led to a number of new service models implementated within Queensland Health and internationally. Her work in simulation (simulated learning) has contributed to changes in undergraduate training nationally and internationally. Do patients with head and neck cancer experience oropharyngeal dysphagia following a mandibular lingual release as part of their head and neck cancer surgery. I supervise students interested in furthering knowledge in the areas of dsypahgia, telepractice, simulated learning, new models of care and health service implementations. Community listeners' perceptions of voice function post-radiotherapy for laryngeal cancer. Can human mannequin-based simulation provide a feasible and clinically acceptable method for training tracheostomy management skills for speech pathologists? Technology-assisted screening of patient-reported functional outcomes in the head and neck cancer population: what’s the evidence? The epidemiology of dysphagia: Describing the problem - are we too late? Language performance of children treated for brainstem tumor. The impact of radiotherapy. Does head and neck lymphedema impact swallow function? Feeding behaviours in typically developing children and children with feeding difficulties. Acquired language disorders in children following treatment for intracranial tumour. Speech outcomes following treatment for posterior fossa tumors: Case study reports. Can an Allied Health Assistant deliver the Subjective Global Assessment with the same reliability and confidence as an Accredited Practising Dietitian? Does a computerised swallowing, nutrition, and distress screening tool capture those patients and carers who need face-to-face intervention during (chemo)radiotherapy for head and neck cancer? Impact of Orthognathic Surgery on Resonance and Articulation in Speech. Using dosimetry to predict functional outcomes in head and neck cancer patients receiving (chemo)radiotherapy. Enhancing access to specialist swallowing, speech, and voice intervention for patients with head and neck cancer: An evaluation of two new telepractice models. Comparing clinical and radiological assessments in paediatric swallowing.